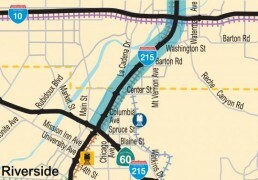 The project closed an eight-mile gap in carpool lanes on Interstate 215 between Riverside and San Bernardino counties. 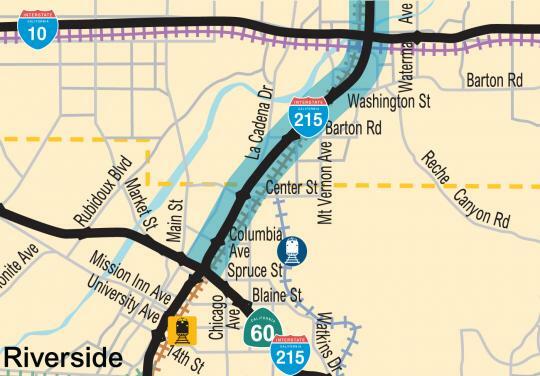 This bi-county effort rebuilt the outside and inside freeway shoulders and restriped the lanes to allow for three general purpose lanes and one new carpool lane in both directions. The project also rebuilt or widened bridges crossing the Union Pacific railroad tracks, Interstate 10, and the Santa Ana River.